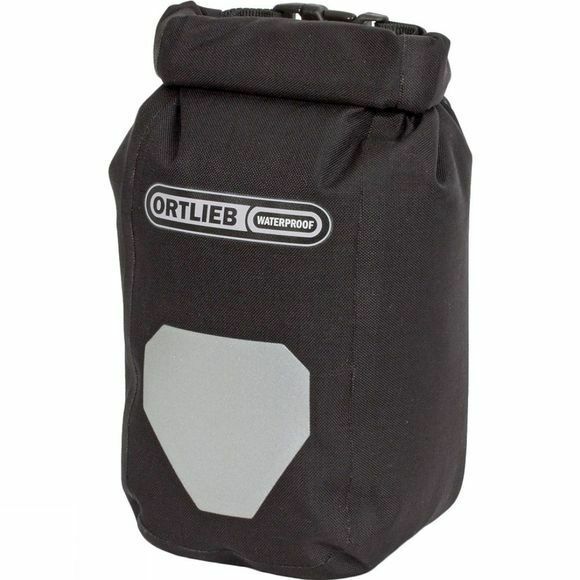 The versatile and removable outer pocket offers space for important items like tools, first-aid-kit etc. It features a roll closure and can be easily and quickly fixed to the pannier with a hook-on system. The little bag may also be carried directly on the belt. The mounting consists of two mounting rails which are screwed to the bag at defined positions. The outer pockets are safely inserted into these mounting rails. This system allows quick removal and fixing. The bottle cage is suitable for panniers, backpacks and many other bags. The reverse loops also allow carrying the outer pocket on the belt or looping it onto a strap. The outer pocket is fixed to the pannier by means of two mounting rails, which are mounted with screws into the pannier at defined positions, and into which the outer pocket is engaged. The outer pocket can still be quickly removed and fixed. The reverse loops also allow carrying the outer pocket on the belt or looping it onto a strap. The outer pocket is designed for bicycle panniers and small backpacks.